through the Great Panzer Sale in the mid-2000s. Photo via Wikicommons. The tank is a tracked, armoured fighting vehicle which was first used by the British during World War One. The year was 1916 and WWI had dragged into its third year. On the high seas, the Royal Navy has had some strategic success at the Battle of Jutland against the German Navy, though the threat of unrestricted submarine warfare was about to begin. On the aerial front, the Fokker Scourge which started in the previous year was largely over, thanks to the deployment of better Allied fighters and tactics. On land however, the initially dynamic nature of land combat had deteriorated into a stalemate of trench warfare, where barb wires, artillery and machine guns prevented any real advancement for both the Allied Armies and the German Army. Soldiers died by the thousands when attempting to cross no man's land between the opposing forces. with two 6 Pounder Guns at the Battle of the Somme 25th Sep 1916. 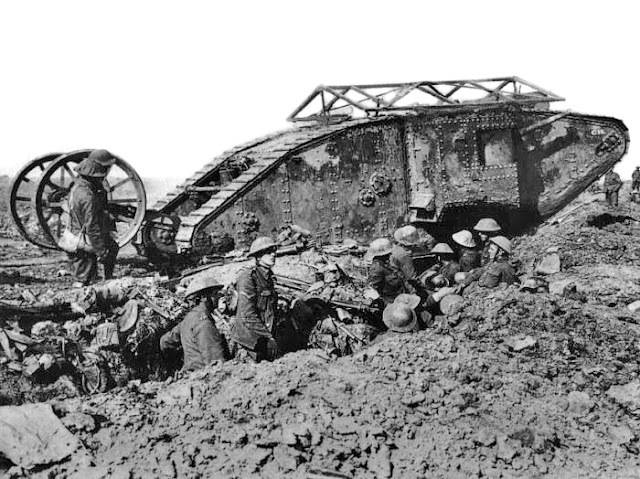 In order to break this deadlock, the British Army introduced an armoured vehicle at the Battle of the Somme in Northern France. This tracked vehicle was supposed to be able to traverse over trenches and provide protection against small arms and shrapnel for its crew and the infantry that followed it behind. It was armed with machine guns and modified naval guns. To conceal its true identity as a new weapon from the Germans, it was designated as a special water carrier ( as in water tank ) and the name stuck. Though the British were the first to deploy tanks, it was the Germans who perfected the art of armoured warfare in the next great war - World War Two. Then, the German panzers ( tanks ) played a crucial role in the Blitzkrieg or lightning war that saw tanks spearheading offensive ground campaigns. Large scale battles were fought in the deserts of North Africa and the Steppes of Russia. Throughout the war the German panzer evolved from the 5 tonne light tank to culminate in the 68 tonne monster Tiger II main battle tank ( MBT ). These fortunately did not come in sufficient numbers to alter the course of the war for the German Army. Hellenic Army Leopard 1A5 in a 2009 photo. Wikicommons. Following WWII, the West German Army deployed the M-47 and M-48 Patton medium tanks supplied by the United States of America. These were post WWII designs and were obsolete by the late fifties and a replacement was urgently needed to guard the flat plains of Germany from the armoured might of the Warsaw Pact lead by the Soviets. This modern tank design was supposed to weigh no more than 30 tonnes and must protect the crew from nuclear fallout and chemical contamination. Its main armament was to consist of a 105mm main gun, the NATO standard at the time. 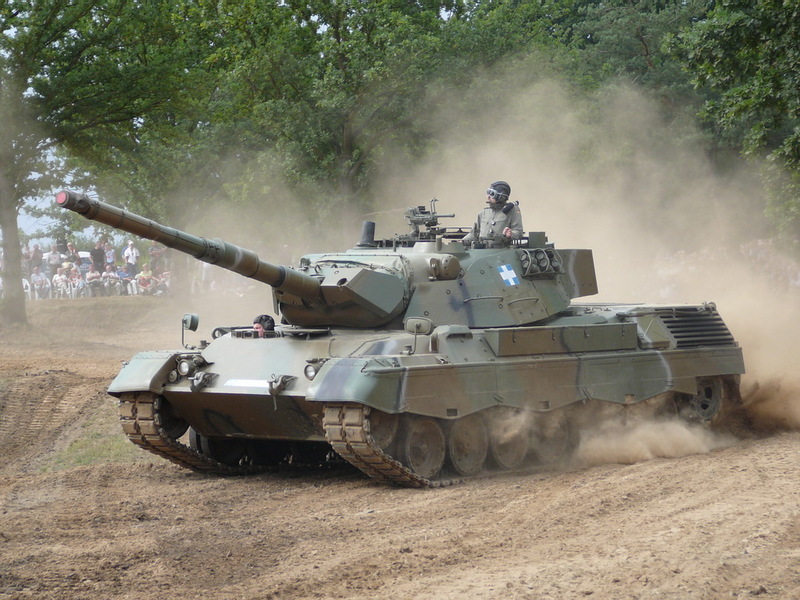 Attempts to produce a Euro-panzer with France and Italy failed and eventually the West German Army fielded the final design as the Leopard 1 MBT and series production began in 1965. A total of 6485 Leopard 1 tanks have been produced so far, including utility and anti-aircraft variants. They serve in the armies of 12 countries including Canada and Denmark. The Leopard 2 MBT started life in 1970 after the failed US-German MBT-70 collaboration. Lessons learnt from the 1973 Yom Kippur War meant that the use of space armour for better crew protection was needed and a bigger gun to match the 125mm smooth-bore gun of the Warsaw Pact was required. To accommodate these changes, the Leopard 2 was to be significantly heavier than the Leopard 1. An early prototype, the Leopard 2 Austere Version, was pitted against the M-1 Abrams prototype ( then called the XM-1 ) at the Aberdeen Proving Grounds of Maryland, USA and showed that the Leopard 2 AV was in many ways on par with the XM-1. It finally entered service with the German Army in 1979, at the height of the Cold War between NATO and the Warsaw Pact. Eventually, more than 3480 would be produced in several variants serving in countries including the Netherlands, Sweden and Switzerland. Following the collapse of the Berlin Wall in 1989, the German reunification was formally concluded in 1990 and the end of the Cold War came shortly after. Suddenly many NATO ( and Warsaw Pact ) countries found that their arch enemies had disappeared almost overnight and found it difficult to justify the maintenance of huge military capabilities. Defense budgets had been slashed drastically and personnel had been demobilised across Europe. The German Armed Forces suddenly found itself inundated with Eastern Bloc hardware ( inherited from the merger with the East German Armed Forces ) like the MiG 29 Fulcrum air superiority fighters and must have found it logistically difficult to integrate them with their existing hardware. The Fulcrum fleet was ultimately given to the Polish Air Force for a token one Euro a piece! The post Cold War German Army was to be reduced to only a fraction of its former glory. Adopted in 2007, the Structure 2010 initiative will cut the number of main battle tanks from 2528 to only 350. The number of infantry fighting vehicles from 2077 to 410 and artillery from 1055 to 120. This generated lots of surplus advance land fighting hardware which could only benefit Germany's trusted allies as they were sold off at rock bottom prices in what was popularly known as the Great German Tank Fire Sale ( der grosse Deutsche Panzer Schlussverkauf ). 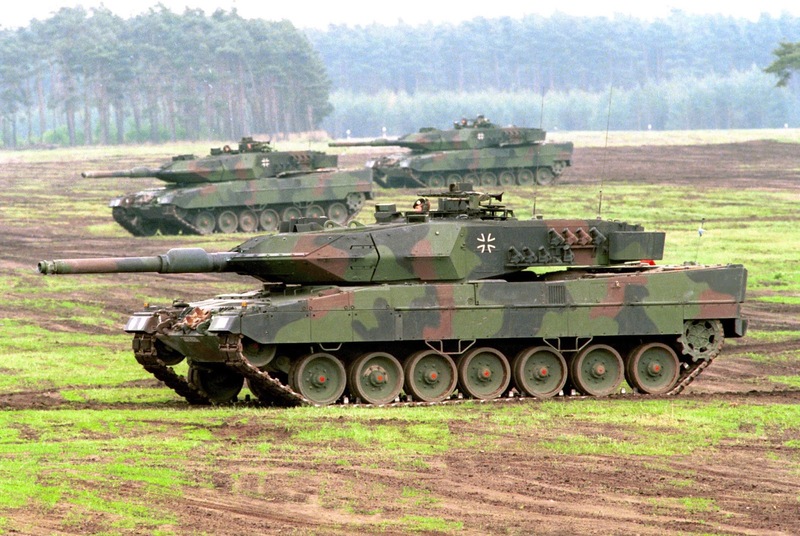 As Germany retains its late variant Leopard 2s ( mainly the Leopard 2A5 and the 2A6s ), the older and comparatively less capable 2A4s are sold to countries like Chile, Singapore, Poland and Turkey, probably at less than a million dollar (USD) each. A new US or Western European main battle tank would probably set you back by USD 5 million a piece. 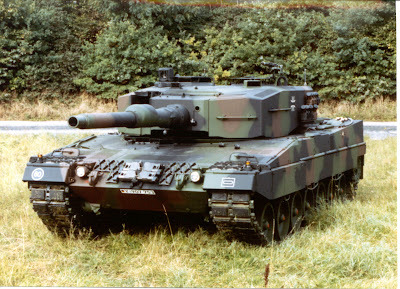 So a second hand Kampfpanzer Leopard 2A4 represents an estimated 80% savings compared with buying new! 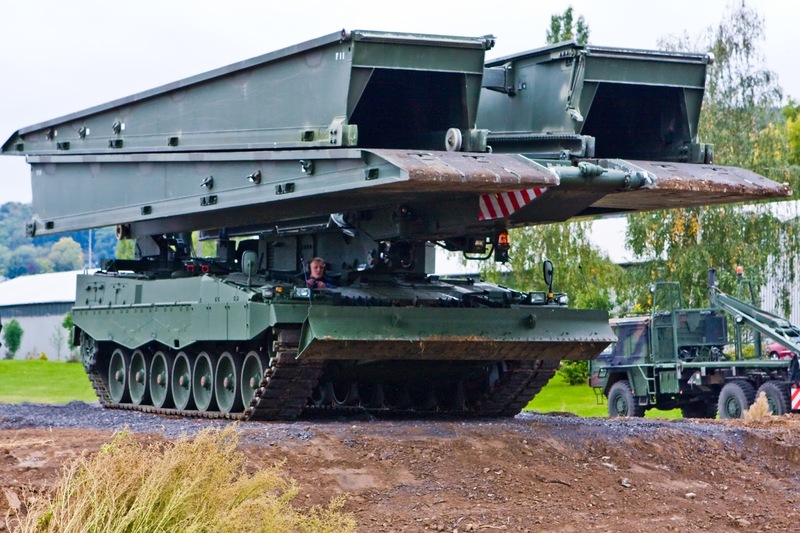 This represented a unique opportunity for many countries to upgrade their MBT fleet to ultra-modern standards without incurring a huge fee. It has been said that at such fire sale prices, even less capable MBTs like the Russian T-72 and its derivatives do not make sense. 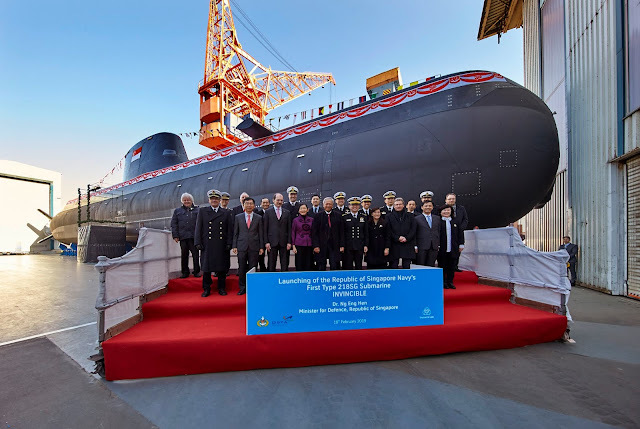 It is prudent and shrewd purchases like these that help to limit Singapore's annual defense spending to be leveled at around 4.5% of GDP throughout recent years, although the Singapore government is prepared to spend up to 6% of GDP on defense. The Singapore Armed Forces operated a fleet of some 350 French AMX-13 light tanks spotting 75mm guns. These were originally designed to be air-portable for supporting paratroop operations. 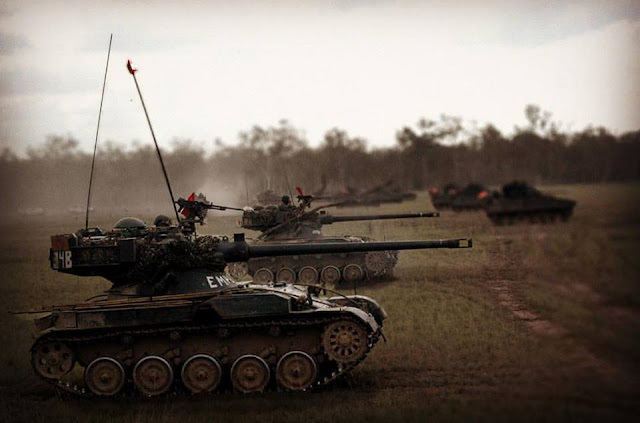 They have been in service with the Singapore Army since 1969 and had been extensively refurbished to the so called AMX-13 SM-1 standard by ST Kinetics, a local defence company back in 1988. They have more or less served their purpose over the past 40 years and have almost reached their end-of-life / end-of-type. It is the ageing AMX-13s that the Leopard 2A4 was supposed to replace, at least that was the official announcement by the MoD. 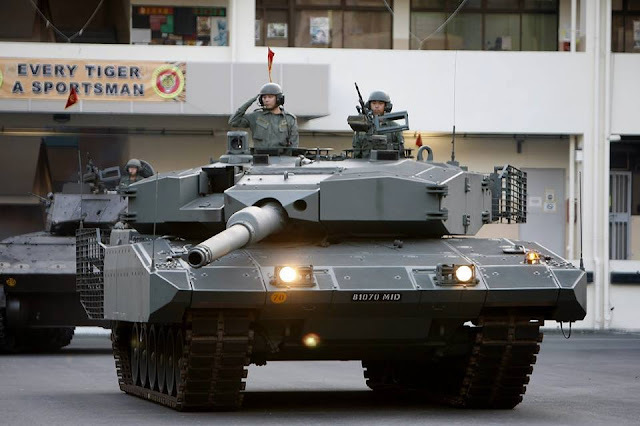 However, although it has never been officially acknowledged, reports are rife that SAF had been operating the British made Centurion MBT for many years out of foreign bases. According to Wikipedia, Singapore had acquired a total of 63 Centurion Mk3 and Mk7 from India in 1975 and subsequently from Israel in 1993 & 94 as well. They have been upgraded with new guns and engines with the help of the Israelis and are known as the Tempest MBT. 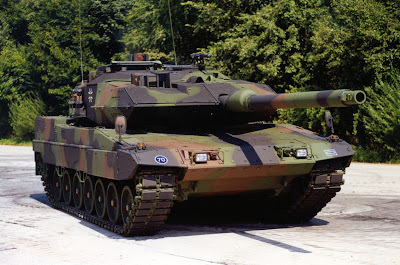 In acquiring the Leopard 2A4, the SAF gains a huge capability boost in a value for money deal. 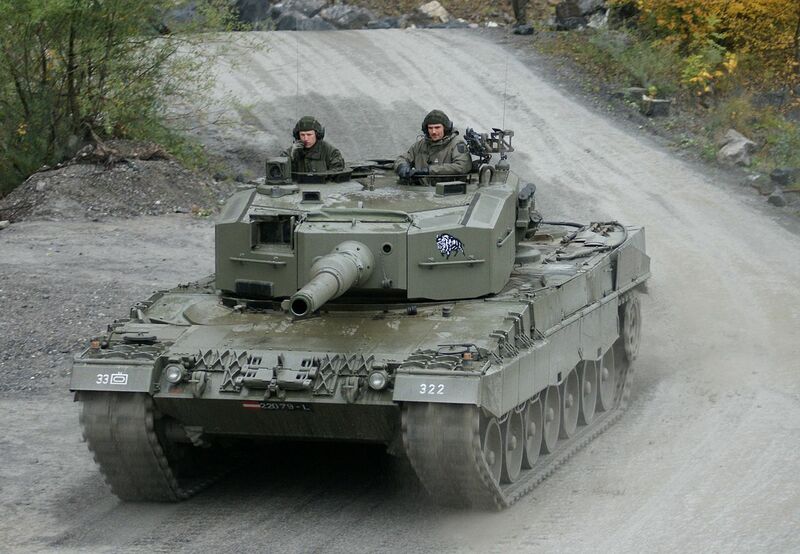 An initial 66 Leopard 2A4s were bought together with 30 as spares, and subsequently 36 more were added. These 102 Leopards will form the backbone of the 48 SAR ( 48th Battalion, Singapore Armoured Regiment ) based at Sungei Gedong Camp. The 2A4s lack the up-armoured sloping turrets commonly seen in more advanced versions like the 2A5 and also sports a shorter version of the 120mm main gun but are still potent main battle tanks nonetheless. High Explosive Anti-Tank Multi-Purpose (HEAT-MP ) are chemical energy rounds that utilise the chemical energy in explosives to form a penetrative jet of molten metal directed at the armour at hypersonic speeds. Armour Piercing Fin Stabilised Discarding Sabot ( APFSDS ) are kinetic energy rounds that depend on the high velocity of a metal rod penetrator to punch through armour. DU or depleted uranium, with its high density, is commonly used to manufacture APFSDS penetrator rods. However, all German APFSDS round are non-DU, frequently using monobloc tungsten instead. 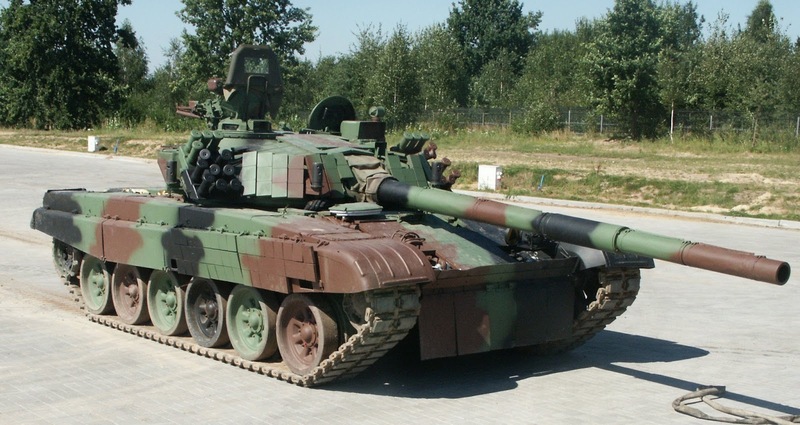 In April 2003 Malaysia signed a deal worth USD 375 million to purchase 48 PT-91M MBT from Poland. The package also includes 6 WZT-4 ARVs or armoured recovery vehicles, 5 PMC Leguan armoured vehicle-launched bridge, 3 MID-M engineering tanks and 1 SJ-09 driver training tank. 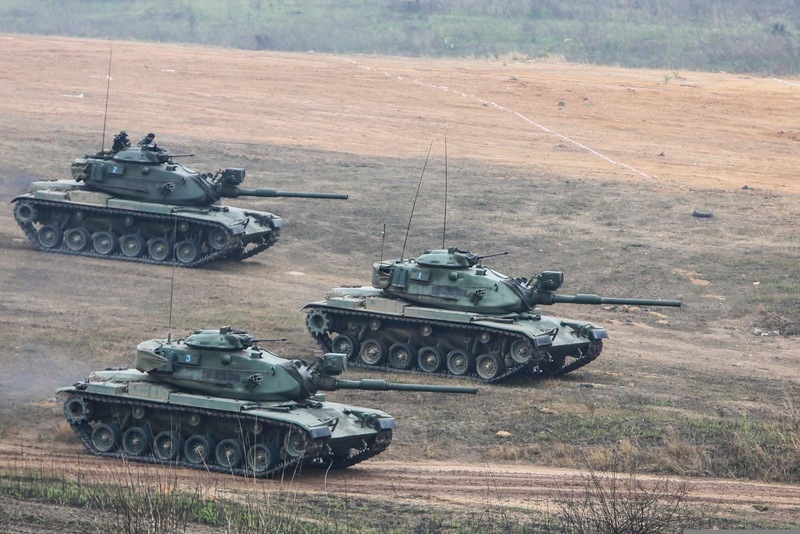 These PT-91M "Pendekar" are new builds of extensively modernised Cold War Era Soviet T-72M1 MBT. 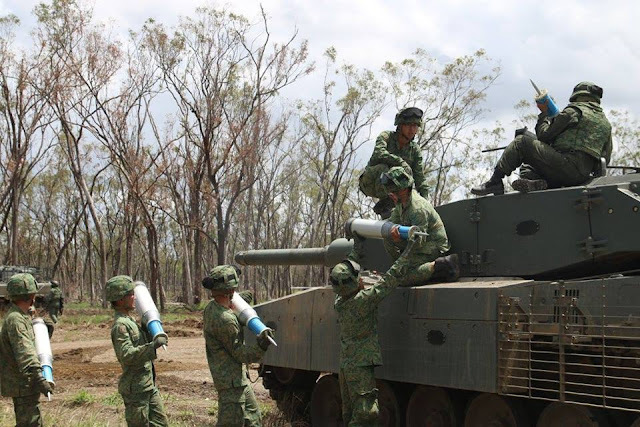 They equip the 11th Regiment of the Royal Armoured Corps based in Gemas, a small town in the State of Negeri Sembilan in Peninsular Malaysia. 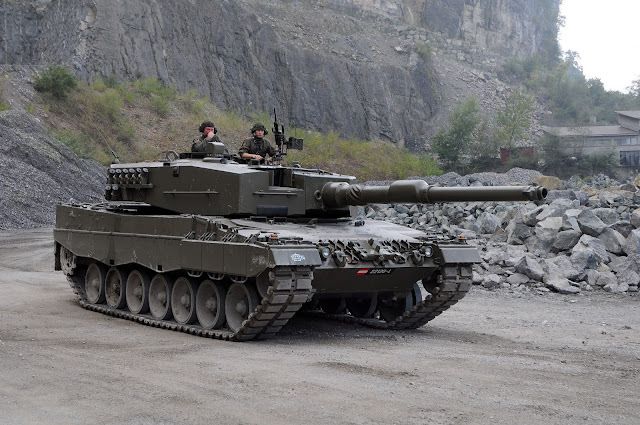 It has a 125mm smoothbore gun, a dual-axis stabilised fire control system, composite armour, explosive reactive armour, laser warning system, upgraded engines and the works. If you do the sums, each tank cost about USD 6 million, maybe more when other "hidden costs", so commonly encountered in that country, are taken into consideration. At the end of the day, a modernised T-72 is still, a T-72! 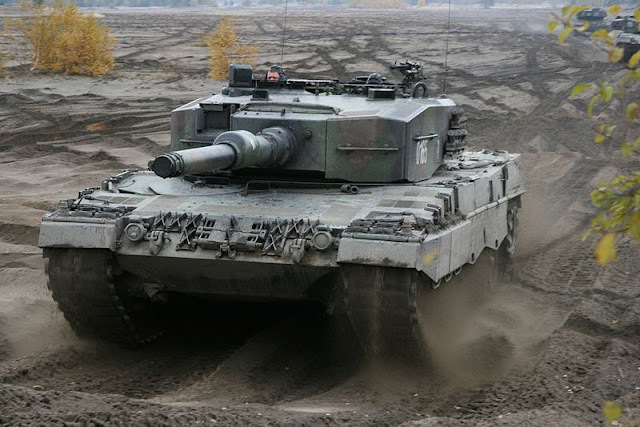 It is considered by many to be inferior to the Leopard 2. Polish PT-91 Twardy from which Malaysia's PT-91M was derived in a 2009 Photo. Wikipedia. According to Wikipedia, Thailand has 105 M-48 and 178 M-60A1 / A3 MBT. They are excellent for intimidating the civilians and for patrolling or blockading the streets as and when the need so frequently arises in Thailand. It had also acquired 300 Chinese Type 69II MBT in the 1990s. The Type 69s are basically Chinese upgraded versions of the Soviet T-55 MBT. They are reputed to be unreliable and of such poor quality that the Royal Thai Army had largely assigned them for training purposes or just put into storage. In 2011, an order for 49 Ukrainian T-84 Oplot-M MBT had been placed and up to 200 might be eventually procured. A small order for Chinese VT-4 MBT had also been placed with deliveries due end 2016. Indonesia was a late comer to the Panzer Fire Sale receiving their first Leopard 2A4s in Sep 2013. A total of 103 Leopard 2A4 had been taken up together with 4 Armour Recovery Vehicles, 3 Bridge Laying Tanks and 3 Armoured Engineering Vehicles for an estimated USD 287 million. A number of the 2A4s will be upgraded to the Leopard 2 Revolution standard by Rheinmetall. 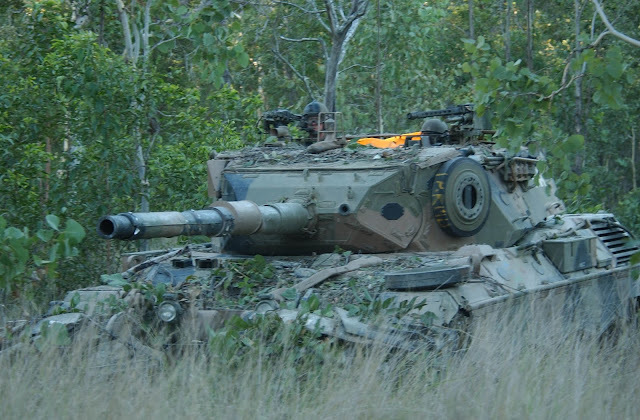 The Australian Army used to deploy the Leopard AS1 MBT ( 1A4 ). 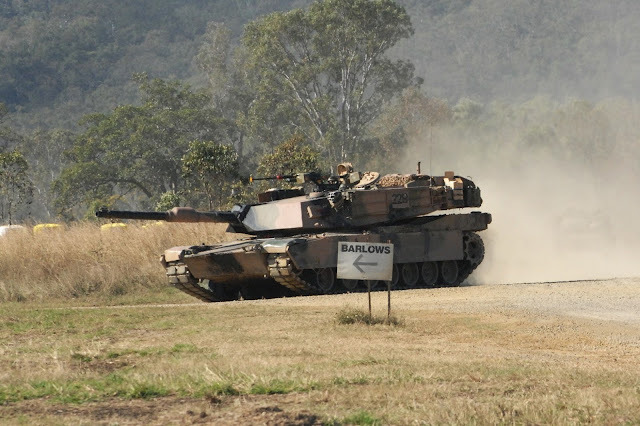 In March 2004, the decision to purchase 59 US M1A1 Abrams MBT to replace the ageing Leopard AS1s was finalised. Deliveries were completed in 2007. 18 are based in Victoria where the School of Armour is and the rest, 41 in total, will be base in Darwin, Northern Territories. The M1A1 shares the same origins as the Leopard 2 ( the failed MBT-70 project ) and even mounts the same Rheinmetall 120mm smoothbore gun. It uses steel encased depleted uranium armour that has been said to deflect / bounce off Iraqi T-72 rounds fired at a range of 1000m during the last Gulf War. It is a formidable platform, even though it is not the latest M1A2 variant. The Great German Tank Fire Sale was a once in a lifetime event unlikely to be repeated, too good an opportunity to be missed for many of Germany's allies to upgrade their armoured fleets. Germany stands to gain too, from the refurbishment contracts that are frequently awarded to German companies and from the training packages provided to foreign army personnel. Perhaps in future, these Leopard 2A4s can be upgraded to the 2A6M standard, with a longer L55 gun that have a longer range and increased armour penetration, better armour and better protection against mines and improvised explosive devices ( IED ). The Canadian experience in Afghanistan clearly showed the importance of having mine protected MBT. The LAV III / Stryker Infantry Fighting Vehicles simply did not have the cross-country ability of the MBTs and nor the level of protection against IEDs and land mines. In Nov 2007 one of the Canadian ex-Bundeswehr Leopard 2A6M-CAN was attacked by the Taliban with a large booby trap / IED. The tank was damaged but the entire crew survived. The tank has since been repaired and was back in operations. Krauss-Maffei Wegmann GmbH has also fielded a Leopard 2A6 PSO ( Peace Support Operations ) prototype for urban warfare. It has more effective all-around protection, better reconnaissance capabilities, non-lethal armaments, close-range surveillance capabilities through camera systems, a secondary weapons station ( remotely controlled ), a bulldozer blade, search lights and a shorter gun barrel ( obvious reasons ). This is similar to the M1A2 TUSK ( Tank Urban Survival Kit ) upgrade of the US Army. With SAF increasingly participating in international peace keeping operations and the highly urbanised city environment of Singapore, this PSO version may make sense. Even further ahead, SAF may well develop its own unmanned ground vehicle. Time will tell. Thanks for the summary. One question: where does the Singapore armored force train? So.... does the our current leopard2SG tank have upgrade their gun to the longer L55?